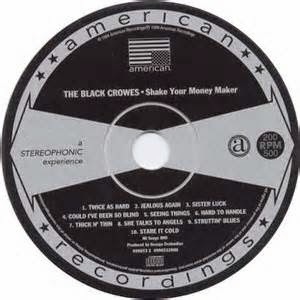 The Black Crowes are a band that was formed in 1989 by brothers Chris and Rich Robinson. In 1989, the band, who have been heavily influenced by The Rolling Stones, Lynyrd Skynyrd, Faces, Buddy Guy, Otis Redding, and Humble Pie, made a demo that led to their signing with Def American. "She Talks to Angels" is a song that is the eighth track on their 1990 debut album Shake Your Money Maker and was released as the album's fourth single. The song made it to 30 on the US Hot 100. The song hit number one on the US Album Rock Tracks chart and number 70 on the UK Singles Chart in 1991. In 2010, Chris Robinson explained in a webisode (part of a promotional internet series for their 2010 Croweology album) that the song is loosely based on a "goth girl" he was acquainted with in Atlanta who was "into heroin". I've always enjoyed this acoustic version. Do you have a favorite song that is performed by The Black Crowes?